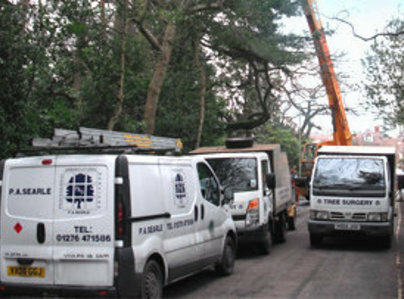 Established in 1980 by Paul Searle, the company is an approved contractor or the arboricultural association. 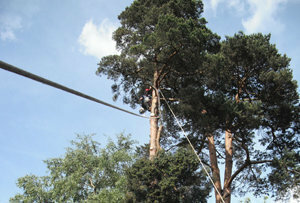 For over 30 years, we have provided a fast and reliable domestic tree surgery service in Surrey and Hampshire. 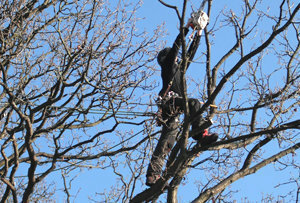 We can offer you a wide range of services from felling large trees using the latest lowering equipment, large reductions and crown thins to formative pruning. Further to this, we would like you to know that we work on both domestic and commercial meaning that no job is too big or too small. We work to industry standard BS3998 and hold full public liability insurance of 10 million pounds (professional indemnity of £500,000) and employers liability insurance. An excellent team, well organised. Most impressed, have no hesitation in recommending. 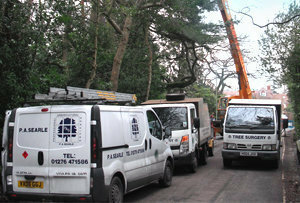 Mr Searle & team was commissioned to remove a "dead" tree leaning on to my neighbours property. They performed the work fully prepared with professional care and attention to detail. I would use them again with no hesitation in recommendation. A big tree in a difficult position was taken out safely and quickly with a minimum of disruption and mess. The whole performance exceeded our expectations. Mr Searle communicated with me efficiently with estimates regarding changes in my plan and arrived promptly on the day arranged. Their work was very professional and no time wasted, and left my property neat and tidy. I have recommended them to friends. Mr Searle and his team were very professional in the job carried out. His advice on the work was excellent and the fees very reasonable. I would highly recommend P.A.Searle. Work of an "excellent" standard. Turned up on time. Very professional. Took all the deadwood out of tree. They noticed a split in a very big branch, showed me a picture from a mobile. Branch was removed, as it could have caused a lot of damage. All areas tidy and clean after work completed. Professional and knowledgeable, punctual and efficient. All debris cleared away leaving no mess. Mr Searle arrived promptly with his team & machines and got straight down to work. Working in the back garden on the Monday 01 Feb & front garden on Tuesday 02 Feb. They did a superb job and cleaned up so well. Very pleased.